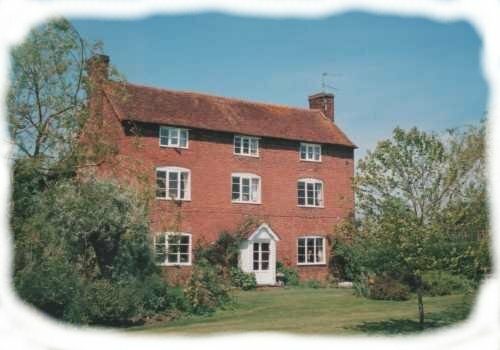 Bed and Breakfasts near Worcester Sixways for 1 night from Tue Apr 23, 2019 to Wed Apr 24, 2019 within 25 miles, in an Average Nightly price range of £1 to £200. The Vernon Hotel and Restaurant is located in the rural parish of Hanbury within traditional Worcestershire countryside surrounded by scenic views to the Cotswolds and Malvern Hills. The Vernon proudly offers 5 exclusive individually decorated boutique bedrooms in Bromsgrove all with luxurious bedding contemporary decor and stylish en suite facilities in the beautiful Worcestershire village of Hanbury Bromsgrove. Offering a luxury hotel for people looking for a countryside break with the luxury of a town centre. The restaurant boasts a fine management team with experts in fine wines and champagne together with a passionate team of chefs. Fresh local produce is used wherever possible and the free house status of The Vernon ensures only the best choices of ingredients and products are on offer to its customers. Welcome to The Boot Inn awarded AA 4 Gold Stars - only given to 10% of AA recognised establishments and Worcestershire Pub of the year 2009/10. A family run traditional Country Coaching Inn parts of which date back to the 13th century we are well Located for easy access to Stratford upon Avon and Worcester. You can be assured of a warm welcome from the friendly staff whether you are visiting for a drink lunch dinner or a short break . Welcome to The Boot Inn awarded AA 4 Gold Stars - only given to 10% of AA recognised establishments and Worcestershire Pub of the year 2009/10 br / br / br / br / A family run traditional Country Coaching Inn parts of which date back to the 13th century. Known locally as The Boot it is a lively establishment offering good wholesome food along with fine ales and wines. You can be assured of a warm welcome from the friendly staff whether you are visiting for a drink lunch dinner or a short break. br / br / br / br / Dining at The Boot is a truly delicious experience. You can choose from the lunchtime bar snack menu or the extensive specials board for which The Boot is renowned or the full a la carte menu. br / br / br / br / Our chefs use only the the finest local produce and adapt the menu to suit the availability of fresh ingredients. br / br / br / br / Our menus are varied and offer a wide choice of food from sandwiches and bar meals to a full a la carte or choose from our ever changing specials blackboard. We also welcome children and are able to provide for them a choice of tasty options. (Tables can be reserved by adding a request in the special requirements section when booking online) br / br / br / br / Should you need more than 3 rooms please enter your details again and make another booking or alternatively contact us directly. Situated in the rural parish of Hanbury, The Vernon boasts an award-winning restaurant, free Wi-Fi throughout, and free onsite parking. Dating back to 18th century, it is set within 20-acres of Worcestershire countryside and has scenic views of the Cotswolds and the Malvern Hills. The individually designed, boutique rooms include luxurious bedding, contemporary decor, and a stylish en-suite bath or shower room. Each room offers a smart LCD digital TV, a hospitality tray, complimentary toiletries, and a hairdryer. In the mornings, The Vernon serves full English breakfast. With a theatre kitchen and mood lighting, the popular restaurant prepares imaginative dishes using locally sourced produce where possible. Guests can also enjoy cocktails, fine wines, and real ales in the bar.